Still 23, only fairly recently have I found my calling, working with individuals with communication disorders, as a result of my volunteer work with the Aphasia Community Partner Program. Increasingly, I find special joy helping older patients, those who have been victims of a stroke, to speak again and communicate almost as before with their loved ones. I see no more noble work on the planet and I have made it my own with great passion and dedication. I am also experienced as a researcher in this area. My role on our research team is to transcribe aphasia therapy sessions, providing me with an excellent opportunity to learn a great deal about common assessment and therapy procedures. The study of Communication Sciences and Disorders is a most natural choice for me because of my sheer love of language and communication, combined with my love for teaching and helping people to communicate better, especially children. I have the greatest language ability in Russian and I am working on becoming a near native speaker of English. I now live, work, and study in New York City. Your Master’s at XXXX is my first choice for graduate school primarily because of the sheer excellence and rigorous nature of your program. I am also very much attracted to your central focus on early intervention. I see your program as the ultimate preparation for providing speech therapy services for children from low-income, multicultural and marginalized backgrounds, providing support to the families and to the children a chance to fulfill their potential. I look forward to a lifetime of giving my all every day to inspire motivate, and empower children with difficulties communicating to overcome those difficulties to whatever extent it is possible. Raised in Azerbaijan for the first 6 years of my life, we moved between Belarus and Russia until coming to the USA in November of 2009 and I am now a permanent resident. Since I came to the USA, my dream of going to graduate school to become an SLP professional has been growing in leaps and bounds and I am very highly motivated to excel. While still in Russia, I studied linguistics (including computational), various languages (Spanish, French) and education, earning my degree in 2007. Now, my dream is to put my education to good use as an SLP professional here in America; first, by learning everything that I can in your program at XXXX. I am most thankful for the fact that I learned Spanish very early on since I traveled to Spain with my family for 2 months each trip, going 2 consecutive years when I was 13 and 14 years old. Thus, while I do have a Russian accent in Spanish, it is not nearly as strong as it would be if I had learned Spanish as an adult. I am also making progress at improving my conversational French. I am especially dedicated to the recovery and improvement of my Spanish because I want very much to be able to help children learn to communicate better for whom Spanish is their primary language. I have become aware of the great need that exists in this regard serving as a volunteer with the organization Jumpstart, in Brooklyn, a program for children from at-risk, low income families. student Speech and Hearing Society while completing my BA in Speech Language Pathology at Brooklyn College, graduating this past September, 2015. I began volunteering before coming to America, working with children in an orphanage in Belarus. This has helped to inspire my passion for a lifetime of service helping children. Having always been near the top of my class, I received a full scholarship that covered my 5 years of tuition, research and student conference participation. After graduation I worked as both a teacher and as a project manager, finance specialist, international sales manager, and quality audit manager. It did not take me long to realize that the corporate world is not for me. While obtaining my first BA degree in Linguistics I worked as a teaching assistant, a camp counselor with children from orphanages, including many with communication as well as behavioral problems; and I realized that there was no comparison with the business world where I did not find any sense of profound meaning, nothing like I do when I am helping children to do new things that they have never done, saying things that they have never said before. I grieved for the situation of so many special needs children in Belarus, simply locked away out of sight for the most part, generally orphanages. It was in this period that I became engaged with social justice issues, especially as concerns the welfare of children. I have invested a lot of time and practice in photography, which I am convinced will serve me well as an SLP professional. I also love sports, especially water and swimming, which I also plan to put to good use as I practice in the future. At some point, I hope to create a non-profit organization for special needs children with developmental disorders (like autism) and create special events to help stimulate their interaction with their environment; surfing for example. This coming summer, 2016, I will be participating in the WAVE Program in Lima Peru, teaching English to local children and working on my Spanish. I also plant to explore and learn about some of the resources in Peru for children with communication and language difficulties. Now 25 years old, I have been working with children with special needs children, most of them on the autism spectrum, since I graduated from high school. Every day that I go to work, I find myself more impatient to get there, to be with my children. Each day I find them increasingly fascinating and I love them more and more. For the past several years I have been learning a great deal by working with and supporting a variety of professionals involved in the care and education of special needs children: social workers, occupational therapists, etc. I see the speech therapists that I have had the opportunity to closely observe and to support over the years as the professionals that make the most singular contribution to these vulnerable little people. Learning to speak is at the center of our struggle to give all that we can to these children to help them communicate as much as possible, opening doors and windows of communication that will determine the extent to which they will communicate throughout their lifetime. I find myself reading about children on the Autism spectrum even in my free time. I could not be more engaged with the communication challenges that present themselves for these children and I could not be more excited to take up this challenge and further prepare myself professionally by earning the Master’s Degree in your particularly distinguished program in Speech Language Pathology at XXXX University. A Mexican-American woman born and raised in Southern California, I take pride in my celebration of diversity and treasure the wonderful experiences that I have had traveling abroad and getting to know foreign cultures and languages. While studying towards my BS in Nutrition, I spent 3 months in Japan participating in an exchange program. I would return to Asia later on as an EFL Teacher, spending 9 months in China. In New Zealand, I stayed for 6 years working as a Health Promoter for the New Zealand government. After English I speak Spanish best, since my [fa] mother is Mexican. But I am also able to communicate increasingly well in both Mandarin Chinese and American Sign Language. My ability to communicate in multiple languages, particularly Spanish and Chinese, gives me great hope that I may be selected to your competitive and especially distinguished program in Speech Language Therapy at the University of XXXX. I could not have greater confidence in my ability to hit the ground running and distinguish myself as a graduate student in your Speech and Language Pathology Master’s Degree Program at XXXX University, for several reasons. I will graduate from the University of XXXX this coming May, 2017 in Communication Sciences and Disorders and I am currently enrolled in Diseases and Disabilities, Audiologic Rehabilitation, Introduction to Speech Disorders, and Beginning Spanish 1. Most of all however, my confidence is grounded in my sheer enthusiasm; resulting from my extensive experience as a volunteer working with – and falling in love with – children with learning disabilities and communication disorders. As with many young people, I was an idealist in high school, wanting to save the world. Under the impression that studying Political Science might help me to go about doing this, I earned my first Bachelor’s Degree in this area in 2011. I learned enough to know that I did not want to enter politics, work for politicians, or spend the rest of my life studying politics. I do, however, respect and enjoy having money to spend and buying nice things with it. For this reason, I have spent several years in the corporate world, working as an assistant to corporate executives. Neither, however, does the quest for money and promotion up the corporate ladder satisfy me as a human being. For this reason, I will be completing my second Bachelor’s Degree this coming May, 2017, in Communications Disorders and Deaf Education. This area of study and practice does fill me with a sense of purpose and increasingly brings great joy to my heart. This is reflected in my GPA so far: 3.68. Before I joined corporate America, I worked with special needs students as a special education teaching assistant providing speech and language services. I often found myself thinking about this experience in my corporate office, so much so that I realized that I should return to SLP, in fact, make it my career. I would very much like to work in a school setting, with children in great need. My long term dream is to one day partner with other professionals in my field, such as an audiologist, occupational therapist, and a otolaryngologist; and open up a clinical practice. Sometimes I dream of helping singers recover from voice overuse, on other occasions I brainstorm and search for a solution to a laryngeal disorder of some kind. In addition to my professional responsibilities, I look forward to doing as much volunteer work as possible in the future, both in my local community and by participating on missions to the Developing World. I have lived in NYC for a several years now and I love the energy and pace of my new, permanent, adopted home. I look forward to many decades to come in the city serving as an SLP-CCC. In this position, I will truly be able to feel that I am giving my all and making my maximum contribution to my community and my fellow man. I want to learn the latest technologies and provide non-invasive, highly effective therapy for my clients with voice and swallowing disorders. I also look forward to doing research and attending and speaking at seminars, hopefully combined with an annual volunteer mission trip. I have been enjoying earning my second Bachelor’s Degree in Communication Disorders and I fear I may miss my studies desperately after I graduate this coming May. Thus, I hope to be selected to begin your program this coming September. I also look forward to quitting my job in the corporate world – less money and more life – and go to work for an organization such as Rockland Boces where I volunteered several years ago, catering to the needs of clients with speech/language and/or swallowing disorders. I am leaning towards the medical-related side of our profession, treating clients with vocal nodules, dysphagia, pitch disorders. 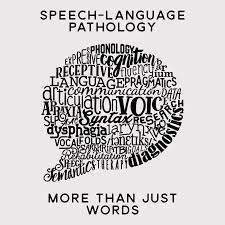 Nevertheless, I am also keen to learn as much as I can about all aspects of SLP.